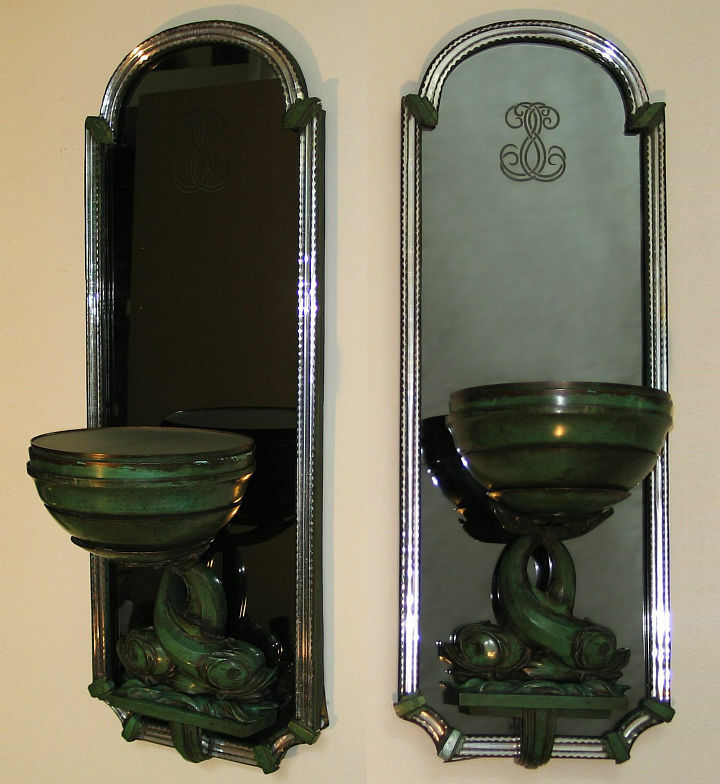 Pair of French Art Deco Wall Sconces. Patinated bronze entwined dolphins support light bowls. Etched and smoked mirror panels.